A total of 491 people were killed in monsoon rains in Kerala since May 29. But, now the flood-hit state has to face a new problem. 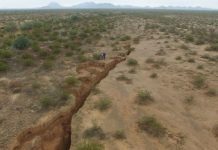 Giant earth cracks are drying up rivers and wells. Geologists were sent to investigate the strange post-flood phenomenon. Pamba River is now almost dry after overflowing during the devastating monsoon rains in Kerala since May 2018. 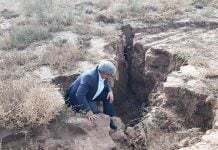 The flood-battered Wayanand district, known for its rich biodiversity, recently experienced an unprecedented mass die-off of earthworms, causing concern among farmers who attributed it to the rapid drying up of earth and change in soil structure. 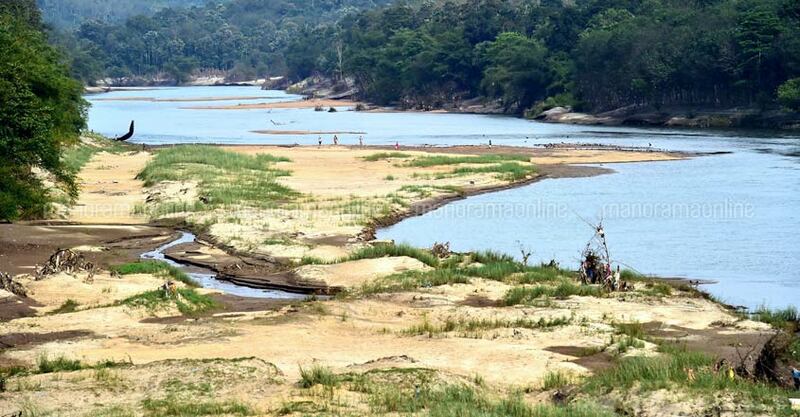 Many rivers including Periyar, Bharathapuzha, Pampa and Kabani, which were overflowing during the deadly rains, are now drying up and their water level has decreased abnormally. Besides, wells are also drying up and groundwater reserves diminish at an alarmign rate in many districts. The dramatic monsoon floods have altered the topography of the land in many places, probably causing kilometres-long cracks especially in high range areas of Idukki and Wayanad. After floods, drought conditions have been predicted by experts in many districts of the southern state. Last week, I went to Spring Park in Tuscumbia, Alabama. What I had found was the spring was NOT flowing at all. It used be a water fall of spring coming out and drain into a river size creek. I had not been there for a year. I don’t know when the spring stopped, but it looked the spring had been dried for a quite long time. Whenever I pass the bridge over the creek, I noticed the water volume was so little. Then I have found out the spring is completely gone! This kind of Earth change appears everywhere in the world now.